Why wait in line when you could be out crafting your own? 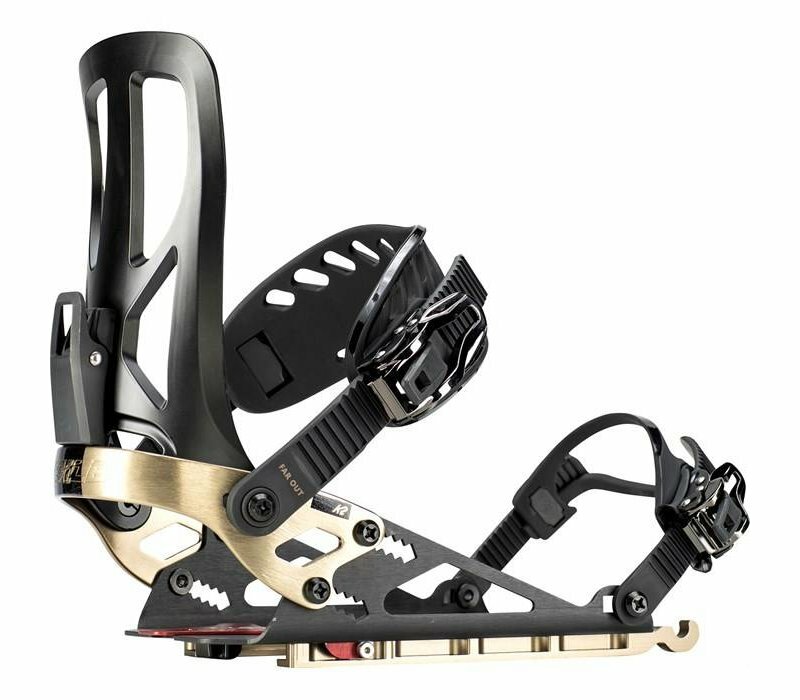 The Far Out Splitboard Bindings specialize in creative lines and long climbs. 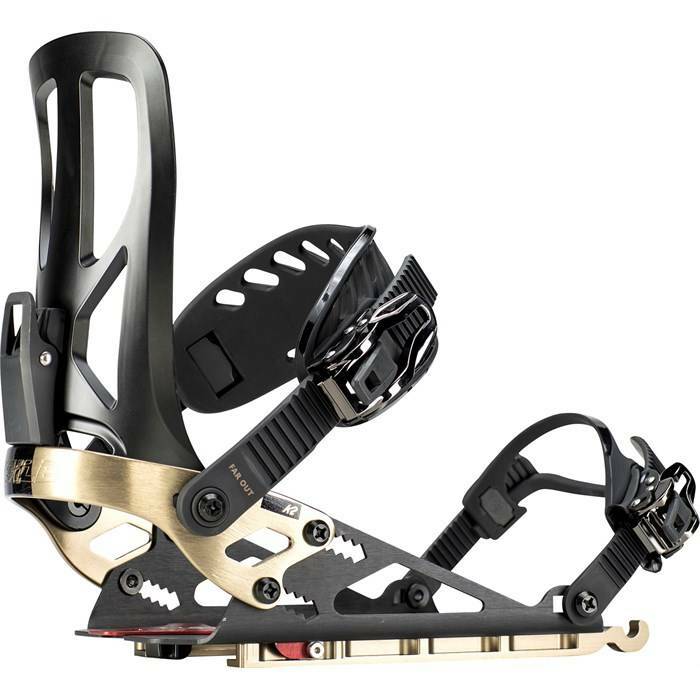 Built on an aluminium splitboard-specific chassis and a pinless speed-rail mounting system that are engineered for tried and true backcountry durability, the Far Out bindings also feature ergonomic Sender™ ankle straps and Perfect-Fit™ 2.0 toe straps for efficient and reliable uphill hikes and dynamic descents. When the terrain demands a different binding feel, dial in the highbacks on-the-fly with quick and easy tool-less forward lean adjustment. Ditch the resort crowds and explore the deep untouched wild with the Far Out Splitboard Bindings! Sender™ Ankle Straps – Optimize your power transfer with these padless and responsive low-profile straps. Cam Lock™ Center Adjusting – Center and adjust your straps with your glove by using Cam-Lock easy and secure adjustment.